13 Large-Screen HD TVs - Full Size Free Pool Table. 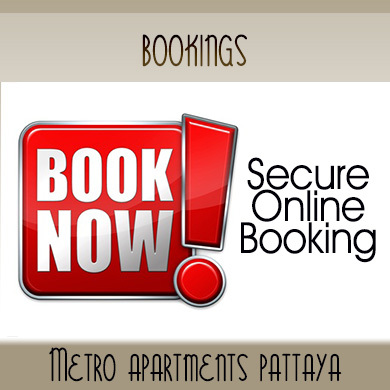 Metro-Apartments-Pattaya. Enjoy your drink while watching Live Sports. En-suite, tiled throughout. King-sized bed - Balcony - TV - DVD player - Internet access - Air conditioning - Electronic safe - Refrigerator - Minibar - Microwave -tea and coffee facilities. En-suite, tiled throughout. King-sized bed - Balcony - TV - DVD player - Internet access - Air conditioning - Electronic safe - Refrigerator - Minibar - Kettle, cups, saucers and cutlery. 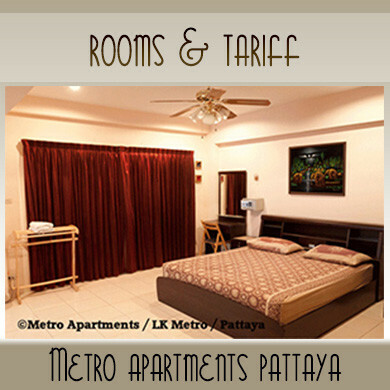 Metro Apartments Pattaya is centrally located and offers quality, value-for-money accommodation. We are a small, friendly, family-run guesthouse located in one of the newer and nicer streets in Pattaya and have been welcoming guests since 2005. An essentially Thai guesthouse with an Irish management we take pride in offering our guests a pleasant, comfortable and friendly vacation. Our staff will do their best to make you feel welcome and help make your stay a positive experience. There are numerous restaurants, bars, Go-Go bars, convenience stores, ATMs and travel agents all around us. It is possible to spend an entire evening in the street and not manage to visit all venues on offer. Yet we are a mere ten minutes on foot from the beach and there is also a Baht bus service to both North and South Pattaya at the top of the street. Our smoke-free bar has eight large-screen HD TVs on which we show a large selection of sport from Europe, USA and Australia such as AFL, NRL, NFL, CFB, Premier League, Championship, SPFL, Champions League, Europa League, 6-Nations, Rugby Championship, Super 15s, Cricket, Tennis, F1, MotoGP, Golf and Boxing as well as State of Origin, Aintree and on occasions other events such as Royal Ascot, Glorious Goodwood and Cheltenham. In addition to a wide selection of beverages including ciders and very tasty draft Guinness we also carry several menus from neighbouring restaurants so breakfast, lunch, dinner or a snack is also not a problem. Our rooms are spacious, ranging from 25 – 42 sq. m. and include all amenities you’d expect in a cosy guesthouse. We look forward to welcoming you to our guesthouse where you will no doubt make friends with our regular locals and staff alike. We hope you visit us and spend some time to enjoy your holiday with us. We confidently predict that while you may come as a stranger, you will leave as a friend. 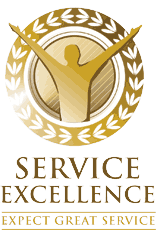 Metro Apartments Pattaya would like to thank all of our guests who honoured our service with a Service Of Excellence. 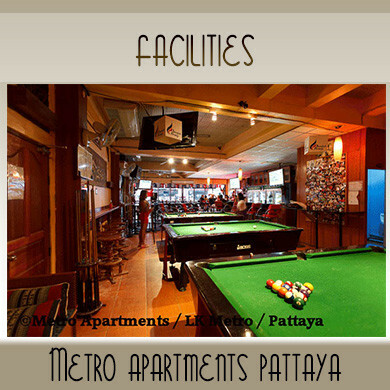 Take a quick journey of Metro Apartments Pattaya. View our video on the right. Remember to turn up your sound to enjoy the whole experience. Enjoy deluxe comfort. Choose from a Standard Or a Superior double with the facilities you expect at a price you can afford. 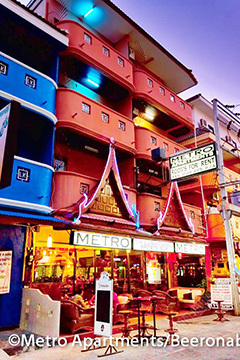 I absolutely love staying at Metro Apartments, when I'm in Pattaya the first thing that enters my mind is Metro Apartments, simply because I won't go anywhere else as you are in the middle of all action and staying at what I consider one of the best hotel apartments in Pattaya. Dennis is a great host and welcomes you with a nice cold guinness! I have nothing bad to say but Love It. This is my first choice when staying in Pattaya. Dennis is great host and so are the girls. I have stayed in room no. 1 and you can not hear any noise from the bar. When the bar is closed you go in through a side door. Top place. Stayed in room#1 for a month once and enjoyed it. It is a very quiet room as it does not face out towards LK Metro. Dennis is a great host and his girls can be fun. I enjoyed my stay. My room (#4) was very spacious and crisp. It included very good storage space, a fridge/mini-bar, electric kettle, microwave, tiled floor, a wrap around balcony, comfortable sitting area and a spacious bathroom typical of the style I've seen in Thailand (and Hong Kong) at the guest house / hostel level. WiFi was complimentary. The first floor included a couple of pool tables, desktop computer and bar. Many bars/restaurants are close by. It's a very vibrant neighbourhood. 33/85-86 Soi LK Metro, Soi Boukhao, Central Road, Muang Pattaya, Amphoe Bang Lamung, Chang Wat Chon Buri 20260. When traveling to Metro Apartments by taxi, show the driver this address on your mobile phone or tablet, or just make a quick note and hand it to him/her and make sure to mention its location in the Soi LK Metro area! Travelling from Bangkok to Pattaya? The quick trip from Bangkok to Pattaya is made easy with a variety of convenient and affordable travel options.